Little, Brown & Co., 1998, Hardback in Dust Wrapper. Condition: Very Good — in Very Good Dust Wrapper. A little rubbing to the edges of the dust wrapper with a small nick to the tail of the spine. Text complete, clean and tight. From the cover: “Many books have been written about Edward VIII, later Duke of Windsor, and his devotion to Wallis Simpson, but little is known of the love affair which played such an important part in the King’s early years: the affair that, perhaps crucially, was to leave him still a bachelor in his early forties. In 1996, however, a cache of 263 letters, previously thought lost, was discovered — the first of a total of over 2,000 written by Edward, then Prince of Wales, during his sixteen-year relationship with Freda Dudley Ward, the estranged wife of a Liberal MP, who came to dominate his life in the years after the Great War. 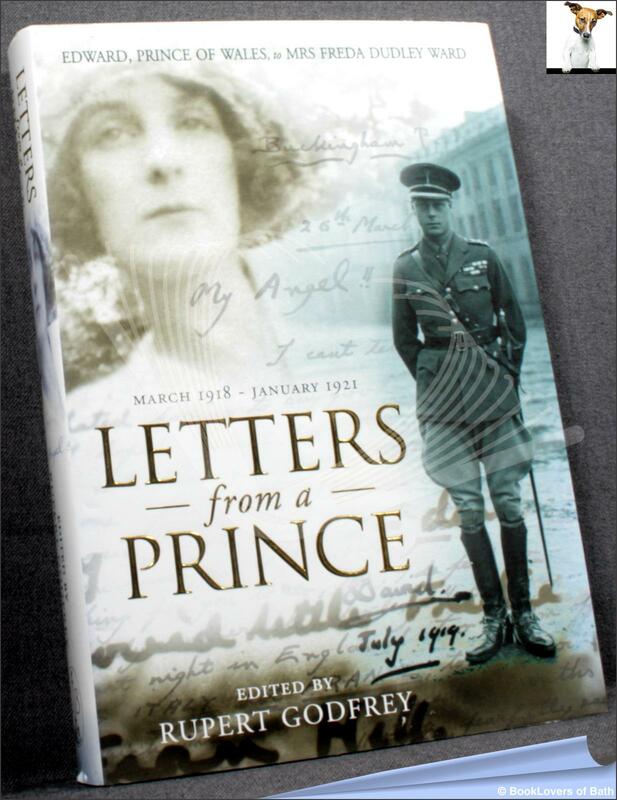 Dating from just days after their first meeting, during an air raid in London in February 1918, until January 1921, these letters give remarkable new insights into Edward’s character, providing the reader with a greater understanding of how this fascinating figure could later give up his throne for love. From his war service in Italy and France to family Christmases at Sandringham, from his Empire tours of Canada, New Zealand and Australia, to his day-to-day routine when in England, Edward repeatedly pours out his hopes and fears, revealing to Freda the deep-seated insecurities he felt as Prince of Wales, which he described as ‘the most difficult job in the world’. The letters recount his problems with his father, George V, and his close relationship with his brother, Bertie, later George VI. They record his insensitive reactions to the death of his epileptic brother, John, and the murder of the Czar of Russia, as well as giving new insights into his previous relationships with Marion Coke and Rosemary Leveson-Gower. Many sides of the Prince’s character are shown -humility, when ‘moving in high circles’ after a visit to the King of Italy; penitence following a casual affair; boyish smugness at his reputation on the hunting field — but above all, his need for Freda’s love, support and encouragement to help him fulfil his duties. Size: 9½" x 6¾". Grey boards with Gilt titling to the Spine. [XIX] 412 pages.